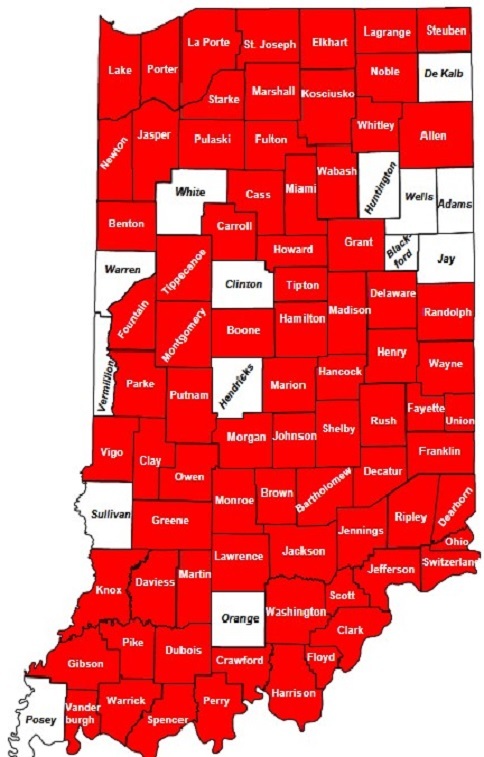 The Indiana Child Advocates Network has CASA programs in 84 counties. Choose a specific program from the dropdown menu or select your county from the map below. If there isn’t a volunteer program in your county, you can volunteer in a nearby county or contact the State Office for further information.